Sometimes people think that you need to include meat in a soup to make it hearty and delicious. As you'll see in the recipe below, however, that's just not true. 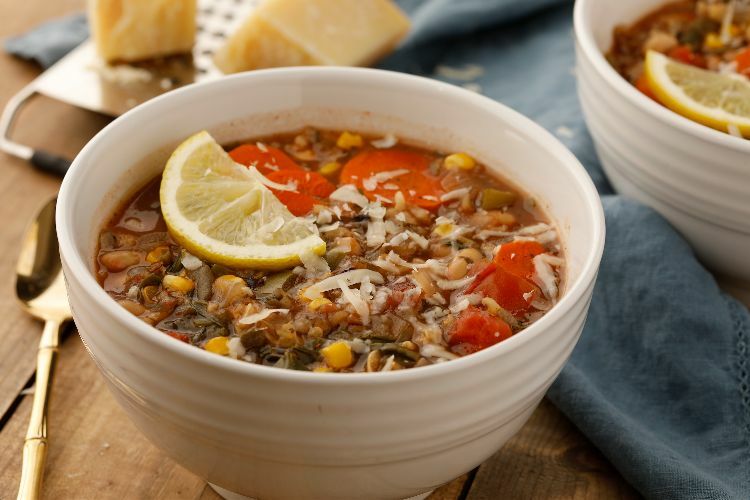 This soup is definitely hearty and full of so many vegetables you'll start to wonder what's not in there. 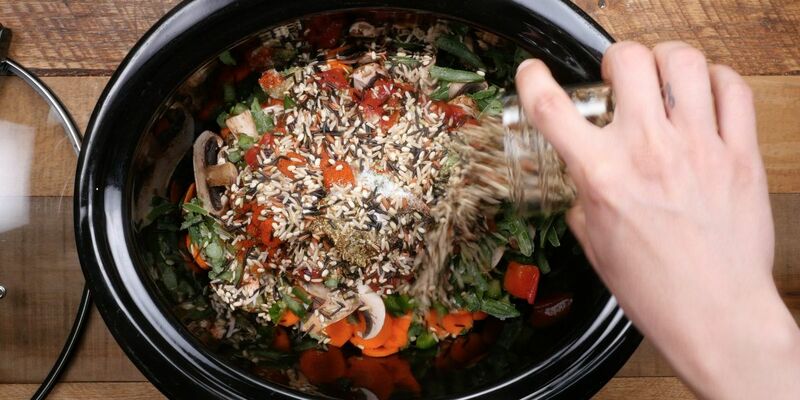 And because it uses wild rice, which is a little sturdier than regular rice, it holds up really well in the slow cooker. Did I mention that it's delicious, too? I didn't even soften vegetables or caramelize anything on the stove first. I just threw everything into a slow cooker and let it bubble away while filling my house with a delicious aroma that made me want to dive right in. Every time you make this soup (because it will be more than once), you'll have to hold yourself back from giving it a taste. Add everything except the corn, spinach and navy beans to an 8-quart slow cooker. Cover and cook on low for 7 to 8 hours, until the rice is tender. Add the corn, spinach and navy beans to the slow cooker. Turn heat to high and cook for 30 minutes, or just until the spinach has wilted.